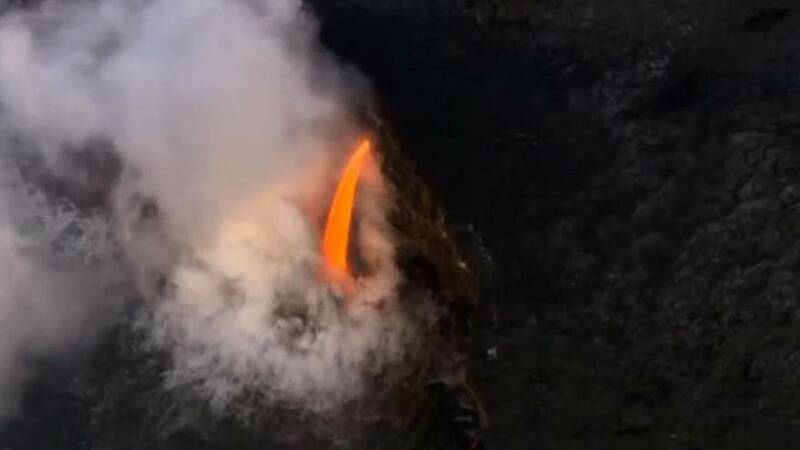 The collapse of a section of rock created this impressive “firehose flow” at Kīlauea Volcano’s Kamokuna. The phenomenon appeared last month but reappeared a few days ago. Moulten rock spouting into the ocean creates explosions and steam at the Hawaiʻi Volcanoes National Park. It is not known how long the flow will continue.